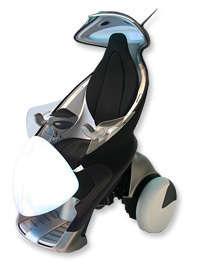 "Thinking About Wheelchairs" exhibits a variety of wheelchair technologies, design considerations, and eccentric notions associated with wheelchairs. 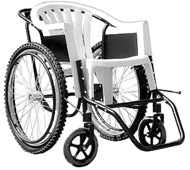 a surprisingly robust $77.91 product produced by the Free Wheelchair Mission whose mission is to "Transform lives through the gift of mobility to the physically disabled poor in developing countries as motivated by Jesus Christ"
Given the present breadth of wheelchair designs and technologies, what would you conclude about the opportunity for innovation in this arena? 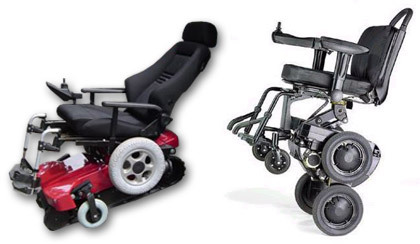 WheelchairX thinks that this diverse market space is a frontier for innovation, offering humanitarian benefits and business profits. In time, the WheelchairX website will present some of the rationale for this assertion.